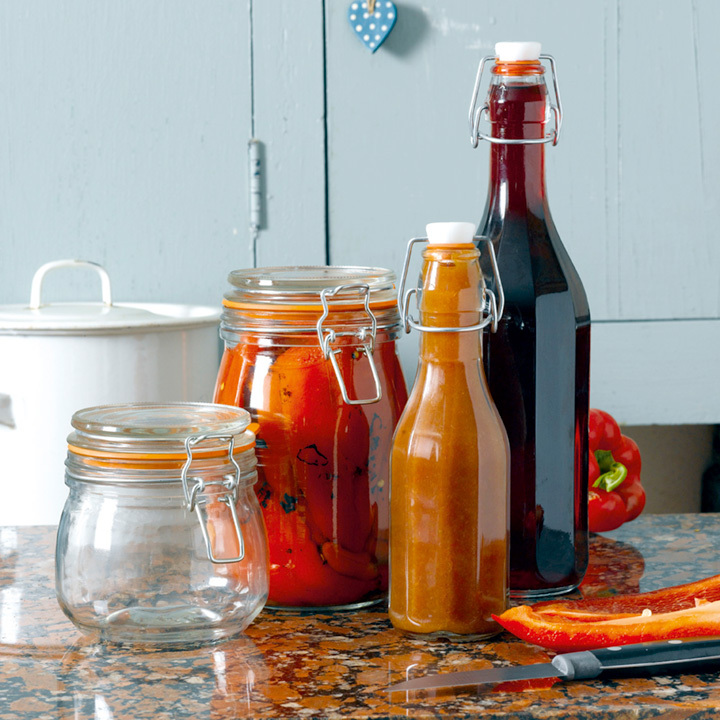 Preserve your fruit and vegetables in style with these quality jars and bottles. They have metal clips and rubber seals that let air out but not back in, creating a superb seal as the contents cool, and making them one of the best ways of preserving your harvests. 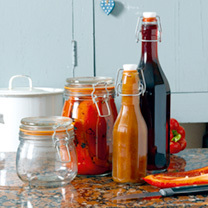 1 litre Mason Jars: 10.5cm (4") in diameter x 18cm (7") high.